John and I may be thinking about nothing but fall flavors, but we're drinking summery cocktails, including this lemonade, punched up with tarragon and gin! 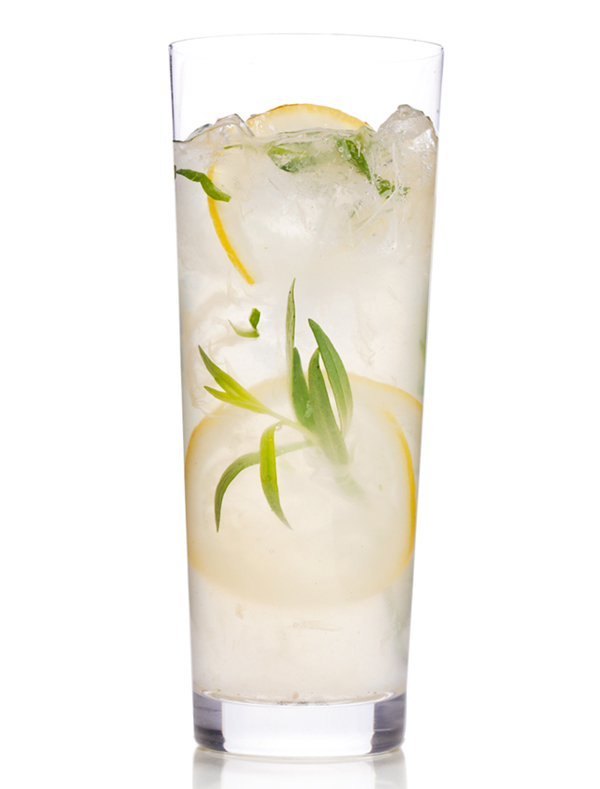 Gently muddle tarragon, lemon slices and sugar in a large pitcher. Add gin, elderflower and lemon juice; stir to combine. Add ice and club soda, then serve. Notes: We can hardly keep St George's Botanivoire gin in stock at our house, and it's the spirit I'd use in this botanical cocktail. That said, your favorite unaged gin will be delightful in this pitcher cocktail that serves six. So invite a few friends over, and cheers! Image by Danny Kim for Bon Appétit.